Welcome to another great collection of beautiful digital training cards. 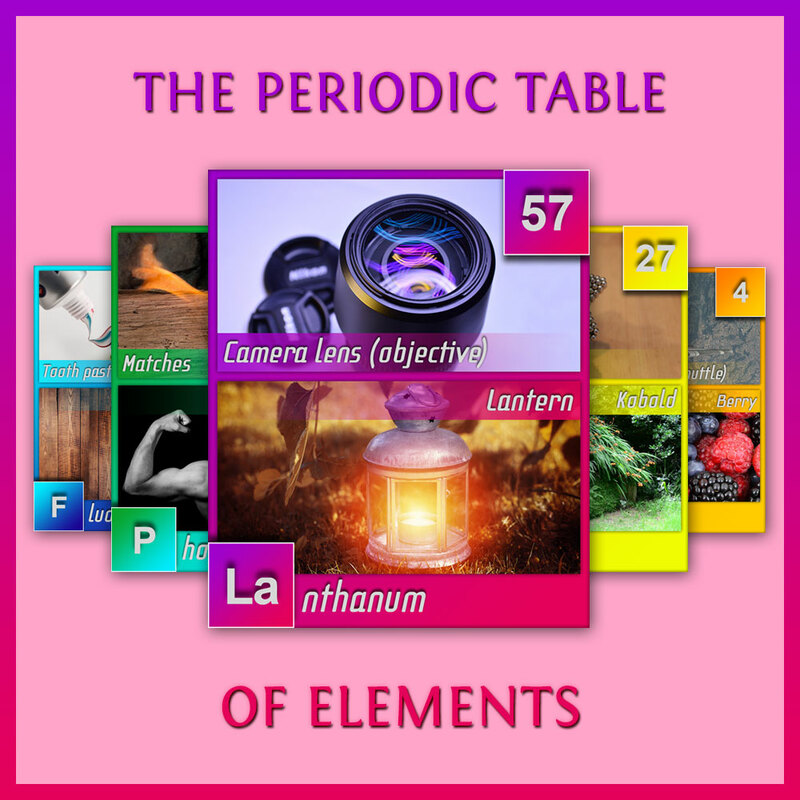 This time we have created a way to learn the Periodic Table with the easiest way we know. It contains two complete sets of each 118 unique training cards. You can use them to train alone or in a group. 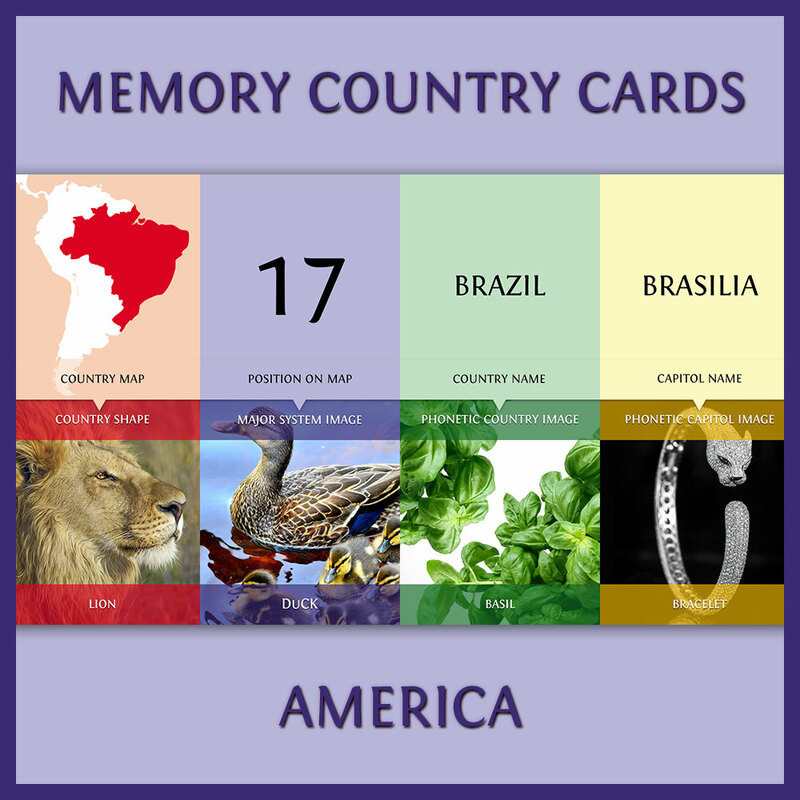 Welcome to another great collection of digital memory training images. This time we have created a way to learn the Periodic Table with the easiest way we know. It contains a complete set of 118 unique training images. You can use them to train alone or in a group. How they work: Memorize the two keyword images on each image, by creating a short and simple story with them. The image on the top of each imageshows an example what the corresponding element is used for. The bottom image on each element is a phonetic example, which derived from the name of the corresponding element. Hence it will remind you of the name of the element. And finally the number on top in the right corner, which stands for the atomic number of the element. To remember the atomic number, you can use the Major System. Add the appropriate image from your Major System to the story of the two other images and you have all the information you need to remember together. You can improve each story by using memorable associations like emotions, movement, exaggeration, transformation, logic and colours. Try to visualize the scene in front of your eyes. And finally repeat and practise your stories.